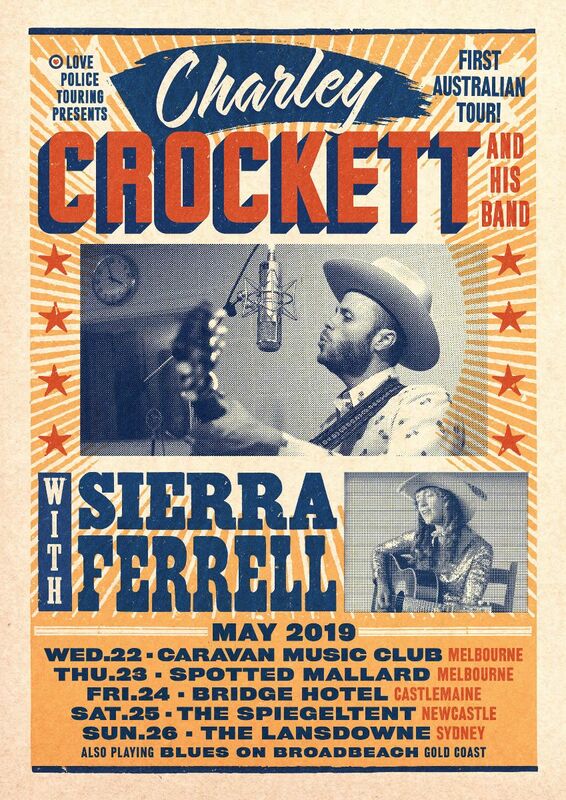 Back in Australia to play Out On The Weekend, the Australian Americana Music Honours event and some solo shows to showcase her forthcoming new album, Ruby Boots is on the cusp of another exciting chapter in her musical career. This was a low-key gig with a showcase vibe, populated with attentive fans and friends, keen to hear her new songs and be reacquainted with old favourites. James Thomson also has a new album on the horizon and he showed that his songwriting continues to evolve and develop into new and interesting areas without sacrificing his roots music origins. He’s painting in new classic songwriter colours with melancholic melodies still to the fore and showed some of his influences with covers of Bobby Charles and Fred Neil (Sweet Cocaine). Marty Burke on electric guitar was the perfect foil to Thomson’s acoustic, weaving soulful lead and slide playing throughout the set. Ruby Boots (Bex Chilcott) has been in Nashville for the last year, writing her new album and playing shows and on the evidence tonight she’s taken her songwriting to a new level. Two thirds of the set was played on electric guitar which seems to have opened up her writing, and indeed her live performance, to new possibilities. Between songs, Chilcott took the time to give context to the new tracks and her stagecraft was a balance of humility and requisite showmanship. The forthcoming new single It’s So Cruel was heavy riffing, bursting with sass and playful pop and funk qualities. Infatuation dealt with matters of unwanted admirers while the set closer I Am A Woman was performed sans instrument, just singer and microphone and it was a mesmerising and clearly personal and important song for Chilcott. When she reached back to her last album and played tracks such as Wrap Me In A Fever and Middle Of Nowhere she showed there’s a clear continuity through her songwriting. She isn’t departing from any sound or style, she’s expanding and refining it with craft and songwriting nous. Tags: 2017, Brighton Up Bar, James Thomson, Live Review, Marty Burke, Ruby Boots, SYDNEY. Bookmark the permalink.